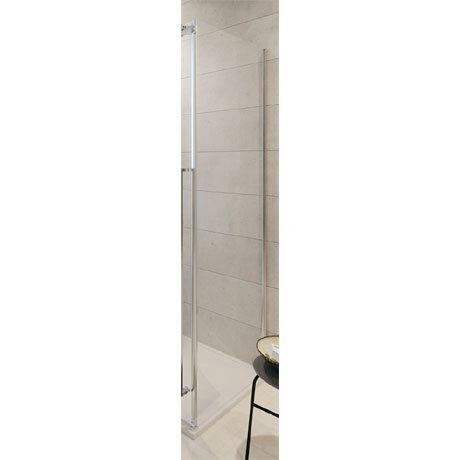 This Pier Side Panel is designed to be used in conjunction with the Pier Hinged Shower Door for corner installations. Features a modern design with a minimalist frame and an 8mm toughened glass panel that comes treated with Simpsons Clear which is stain resistant and prevents limescale build-up. Please note: Suitable with Pier Hinged Shower Door only. This side panel must be used in conjunction with the Simpsons Pier Installation Kit - PIERBRACE (sold separately).